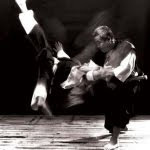 City Kempo - London martial arts classes: Hello world! We're very excited to announce that our new website is finally live. Welcome, have a look around, and hopefully see you sometime soon.